Of all the innovations in interior decorating and home design, one of the best has to be the invention of wall stickers or decals. 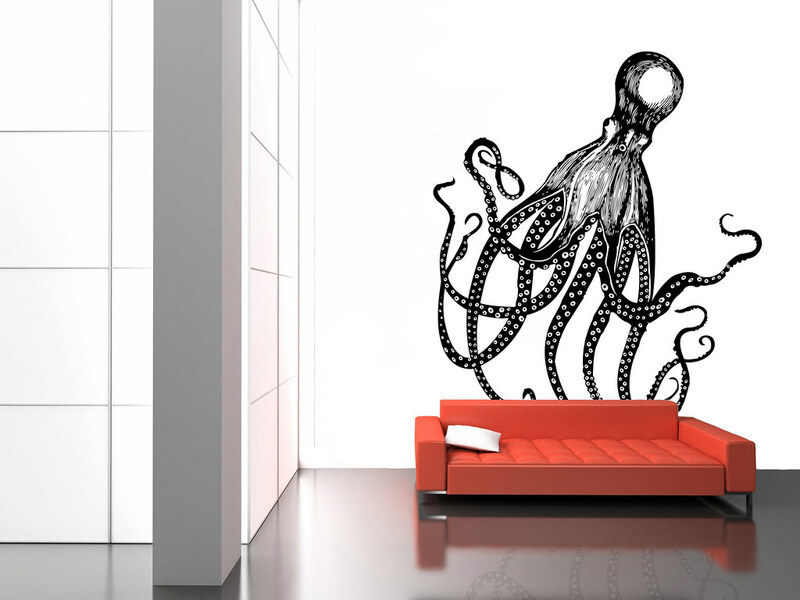 Now available in a wide variety of styles and designs, and suitable for use in almost any room of the home, wall stickers are the perfect choice for contemporary homes. Here are five good reasons why it’s worth using wall stickers in your interior decorating. 1. Wall stickers are versatile and easy to use. One of the top reasons for choosing to use wall stickers is due to their versatility and ease of use. If you’d like to do something special in your home, but don’t have masses of time or feel that you don’t have major decorating skills, then look no further – wall stickers are the answer. They really are easy to put up, don’t require lots of equipment and can be managed by even the most reluctant of decorators. 2. Wall stickers create an impressive look on your walls. Depending on which wall stickers you choose to use, they can create an impressive design that looks fabulous on your wall. In fact, it looks like you’ve spent more time and money than you really have and many of the intricate designs look like they’ve been hand-painted onto your walls. Whilst some of the wall stickers come as one whole piece, others, like these birds or butterflies, are made up of individual components, so you can creatively arrange them in a design or order of your choice. 3. If you change your mind, you can easily remove wall stickers or move them around. If you’re apprehensive about using wall stickers in case you don’t like the finished result, or worry that you may go off the design after a while, then don’t panic. One of the major benefits of wall stickers is that they’re easy to remove again. So if you change your décor and the design no longer works, then you can move it elsewhere or replace it with a new wall sticker. 4. Wall stickers can be a cheaper way of decorating. If you’re on a budget, or haven’t got a huge amount to spend on decorating, then using wall stickers can be a more reasonable option to explore. Although they do vary in price, with some of the larger or more ornate wall stickers costing more, you can get some stunning wall stickers that really make a difference in your home for a reasonable price. 5. Wall stickers are a great design statement and can even be functional too. For the ultimate design statement, wall stickers are perfect to use. How else could you add realistic looking power cables or branches into your home? Some of the more creative designs are even becoming functional too, like this stunning Big Ben wall sticker, which doubles up as an actual clock.